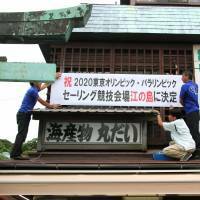 YOKOHAMA - Officials and residents of the coastal city of Fujisawa, Kanagawa Prefecture, welcomed on Tuesday the news that the International Olympic Committee picked its Enoshima Yacht Harbor to host sailing events for the 2020 Tokyo Olympics. The IOC simultaneously announced that several indoor tournaments will take place at the Makuhari Messe conference center in Chiba Prefecture. 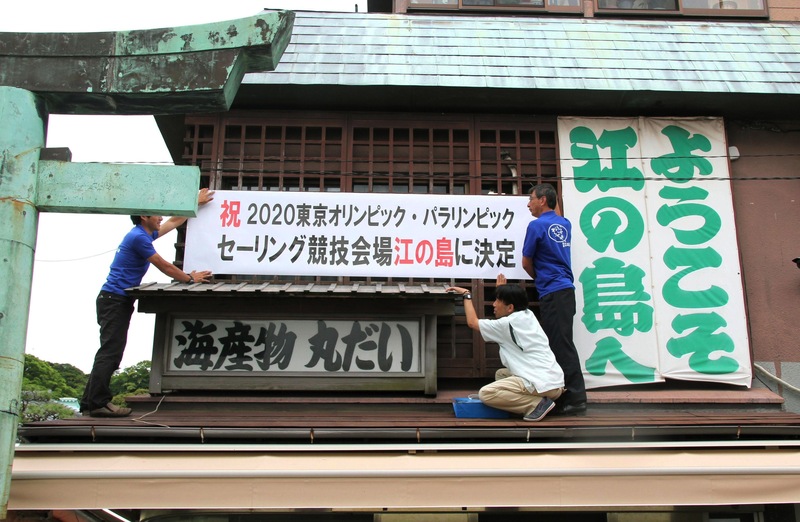 “We’ve been given the best chance to show the world the beauty of this region,” said Hirokazu Yuasa of the Fujisawa City Tourist Association, which hung a celebratory banner at the head of the island’s bustling shopping street. Chiba Gov. Kensaku Morita meanwhile hailed the IOC’s decision to use Makuhari Messe conference center for fencing, taekwondo and wrestling. “We will engage all people in the prefecture to make these games successful,” Morita said. Meanwhile, Shokichi Inaba, mayor of Gamagori, Aichi Prefecture, which missed out on hosting any events, said he was disappointed at being unable to realize the city’s dream. “We have the best conditions to organize the competition here so I assume the reason we lost is because we are far from Tokyo,” Inaba said, adding that he himself is a keen sailor.